Step onto Lawrence Academy's campus and it will not take you long to see and feel what makes our school different. Yes, you will be warmly welcomed; that is our way. But more importantly, from your first visit to your departure following graduation, you are respected for who you are and who you can become. Take a look around the website, take a virtual spin around our quad, or better yet, come for a visit. 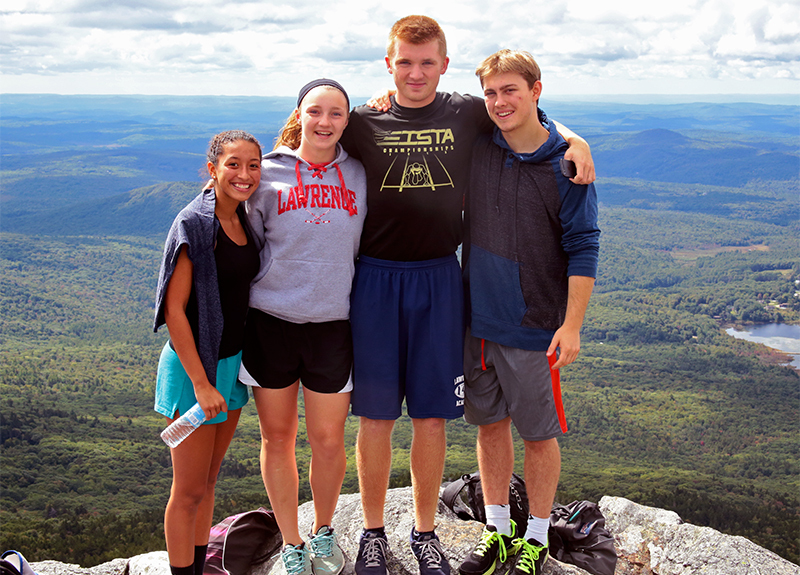 You’ll discover that Lawrence Academy is a very special place. Located in Groton, MA, 8 miles south of the New Hampshire border and 31 miles west of Boston, LA is home to 400 day and boarding high school students. At LA, students discover who they are and where they want to go in their academic, personal, and extracurricular endeavors. Skills are taught which allow students to uncover their abilities and interests, allowing them to pursue them with active support and guidance. LA provides a challenging yet encouraging environment that offers students a sense of place, a strong academic foundation, a diverse community, and opportunities to stretch and take constructive risks. At LA, students have a chance to build confidence, experience leadership, and develop their identities. Lawrence Academy is a school that values and emphasizes integrity, trust, self-respect, and concern for the community as a whole. LA also stands out for its many opportunities: to develop in depth a special talent or skill, to discover and use your leadership abilities, and to take advantage of the school's cultural and social diversity. We provide the challenges and the support that encourage you to take constructive risks and to build self-confidence while contributing to the school community in ways you may never have imagined. Browsing the links below will introduce you to more details of life on our boarding school's campus. It would be a tall order to fill, however, to capture on a website what life on our campus would be for you. If what you see interests you, then it's time to come take a look around for yourself. Make an appointment with our admission office. We'll see you soon!